Guide: bulk mint favours prices. 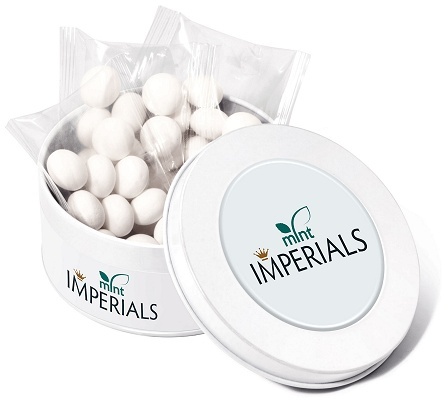 Our Treat tin of mint favours is fully branded with a wrap around the tin and dome label on the lid. Filled with 3 x 30g bags of Mint Imperials.